Today we met up with Alessandro and Giovanni from Free Walking Tour Modena , they offer the normal ‘free’ walking tours of Modena along with a new concept of having migrants (refugees) who have settled in the city. 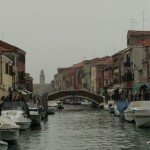 The original idea was to help break down the barriers between the Italian population and asylum seekers, but they are now offering tours to visitors to the city as well. It is multi-faceted as it helps to improve refugee’s language skills, gain meaningful employment and is also a way for them to give back to their new community. The tour takes in many of the sights of Modena, but in quite an interesting twist we also learn about where Abdul and Bakar come from. It’s part of a program to break down the barriers and stereotypes which surround refugees. We met up at the Piazza Grande and after introductions learnt that Abdul is from Pakistan and Bakar from Gambia. 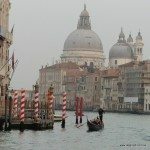 They both sought asylum in Italy and are involved in a program to promote community awareness. The two men have conducted many tours but we were their first English speaking tour. 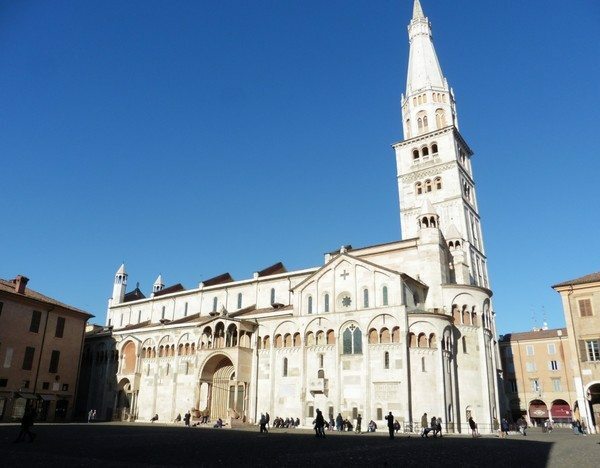 Our first stop was Modena Duomo, Cathedral of the Assumption of the Virgin Mary and Saint Geminianus (Cattedrale Metropolitana di Santa Maria Assunta e San Geminiano). The Romanesque cathedral was started in 1099 and consecrated in 1184. 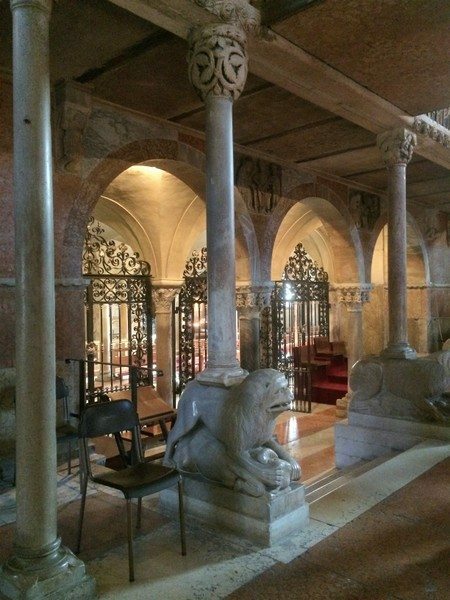 It was built over the tomb of Saint Geminianus the 4th-century bishop of Modena. Saint Geminianus is Modena’s patron saint. He is credited with saving the city from the invading Huns led by Attila, in 451 by conjuring up a fog to envelop the city. His tomb lies in the crypt of the Cathedral. The crypt features a vaulted ceiling supported by rows of Corinthian columns. Some of the columns capitals are decorated with winged lions, mythical animals, leaves and grotesque faces. Above the crypt in a platform raised above the nave is the high altar. It features a double row of marble columns one either side. In the domed ceiling above the altar are mosaic featuring the four apostles, angels and Jesus crowning his mother. On the floor, pink and white marble in various designs is the main feature. Throughout the church are all sorts of carved marble animals and we wondered as to the symbolism for many of the objects. On some of the main brick columns along the nave and along the walls are the remains of 13th-century paintings. Originally on the plastered walls, they are all that remains. After talking to the two guides about how the frescoes on the facade of the church reminded them of stories from their own religions we headed to the Piazza Grande. 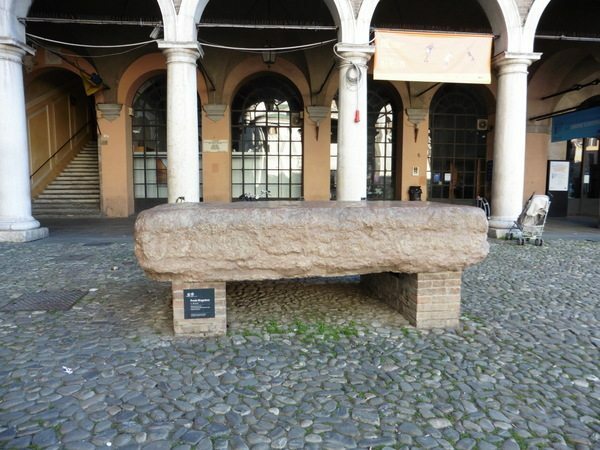 In the corner of Piazza Grand is Preda Ringadora, a huge block of pink Verona marble dating from the 13th century. 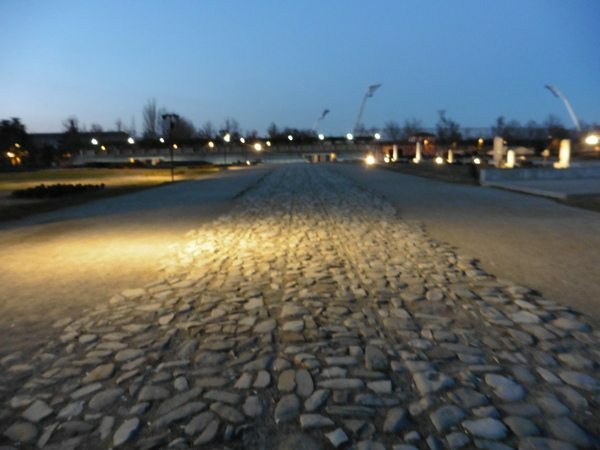 The name translates to “The Haranguing Stone” for the stone was used to chain criminals, debtors, thieves and for displaying unidentified bodies. It must’ve been pretty gruesome chained up beside a body in summer. 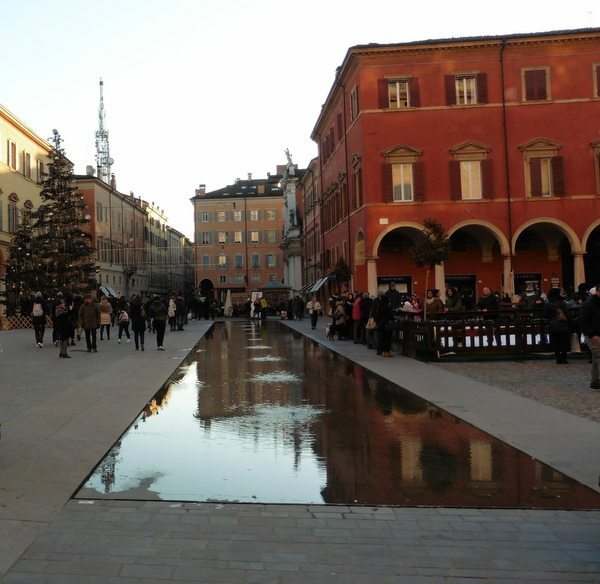 The piazza was once the main marketplace of Modena until the markets were moved. Overlooking the Piazza Grande is the statue of La Bonissima. She was supposedly a rich woman who fed the poor in a time of famine. 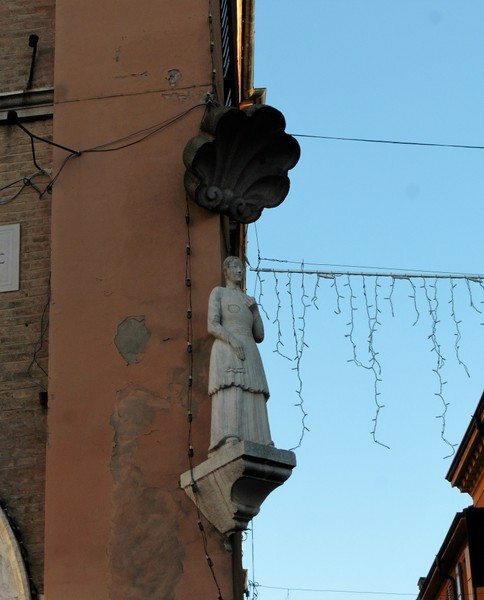 The statue dates from 1268 and is said to look over the piazza to ensure honesty in business. These days the markets are held nearby in the covered markets. Abdul and Bakar told us of the importance of marketplaces in their own countries and how seeing the markets reminded them of home. 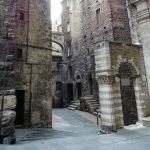 As we wandered through the streets of the old city we learnt how the Italian government is resettling refugees. After registration, they are sent to different regions of Italy so that they can become part of the community. They get provided with accommodation and language lessons in an effort to get them into employment. 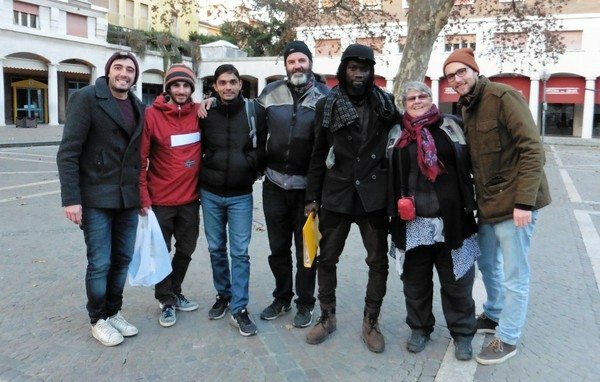 Abdul and Bakar want to give something back to Italy for accepting them so they are studying Italian and taking part in the Walking Tour to improve their language. 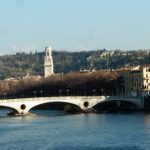 Part of their tour is to draw comparisons between Modena with where they came from. Abdul told us how the colonial buildings in Pakistan were much like the Ducal Palace of Modena. It’s a Baroque palace on the edge of the old city. It was built by Este Dukes of Modena who occupied the palace between 1452 and 1859. The duke fled to Vienna after the area was invaded by Piedmont and never came back. As a result, Modena was absorbed into the Kingdom of Italy by King Victor Emmanuel II. 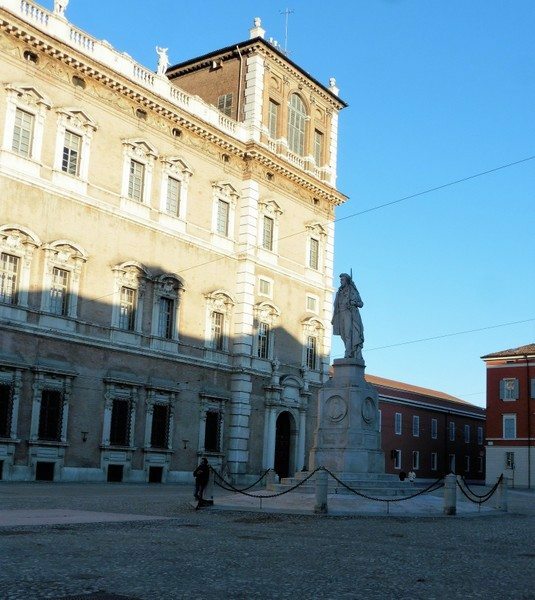 These days the old Ducal Palace is part of the Italian Military Academy. In the piazza, in front of Palazzo Ducale, a water feature flows along the course representing the old river, long since gone. Bakar told us of Gambia, how the tiny country is split in two by the Gambia River. and how this waterway reminds him of home. 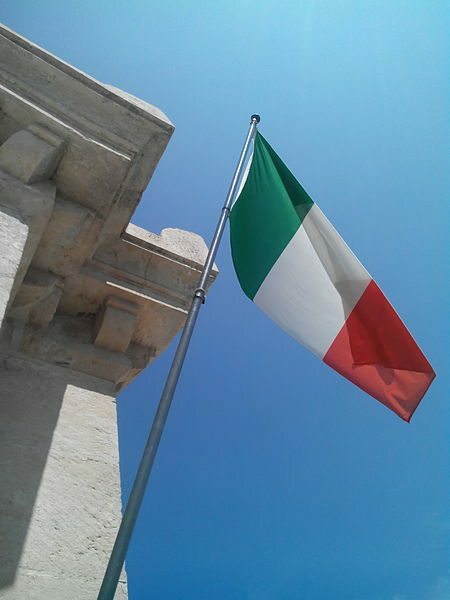 Modena claims to be the place where the Italian flag was decided on it was then raised in Reggio nearby. The old government building where the flag was first raised after WWII is now a building site so it looks a bit out of place.There’s conjecture over what the flag represents. Some say the white for the snowy Alps and other mountain regions; the green for the plains and the hills; and the red for the blood spilt in the Italian wars of Independence. The two guys then told us of the symbolism connected with their own flags. 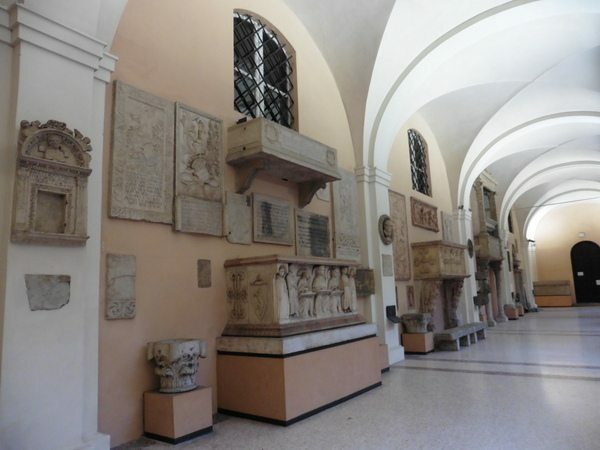 We stopped off at Modena’s Museum where old Roman burial slabs, statues, and tombs stand beneath the verandahs. It’s quite amazing that there are so many artefacts outside the doors which are free to look at. Interestingly Modenas oldest tree a plane tree, which was not far from the museum, was a talking point. 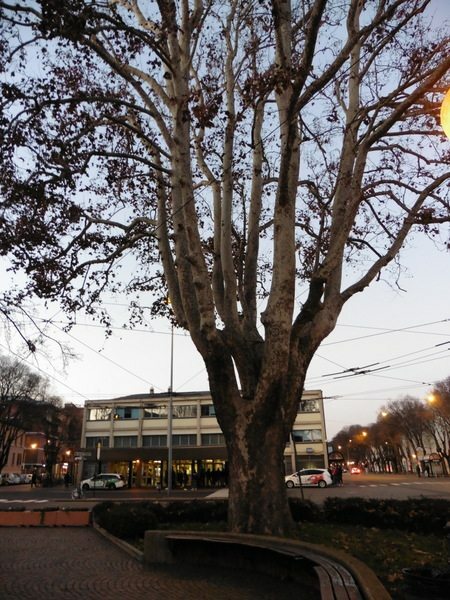 Often overlooked by locals the tree served as a place for discussions. In both men’s countries, the old trees were places for people to sit and discuss politics. They were quite important meeting places. These days old men meet to chat and play checkers under the old trees. Our last stop was the Roman road. It was rough and rocky. Maybe it was the symbolism of the paths that the two men had travelled to reach this point. 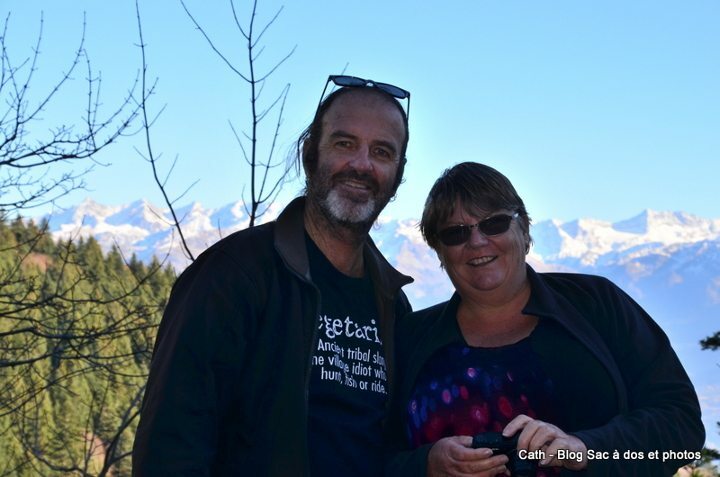 We really enjoyed meeting both Abdul and Bakar and seeing Modena through their eyes. It really was an interesting insight into both Modena and the lives of the two men. Great post; wonderful initiative. It is so nice to see tourism making a real, positive difference and a genuinely symbiotic relationship between tourist and host community. 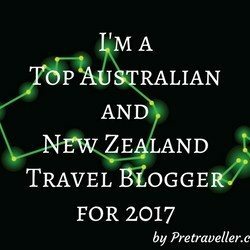 I’m going to look out for this type of tour as I travel this year. Thanks!! I agree I am hoping we find more too it was a very positive experience and so interesting to learn about the countries they came to. What a nice article. Modena was not on our radar before, but now we will have to look closer. It is quite refreshing to hear how the tour company is utilizing refugees to help aid them with their transition. That’s a great idea, and a valuable service. 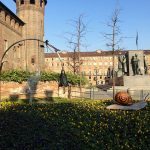 Glad you enjoyed it, Modena is well worth a visit if you get a chance. I hope the concept spreads as it really was a refreshing way to see a city. 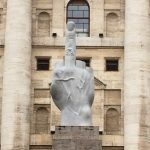 The Modena tour looks interesting enough on its own, but adding in the perspectives of the refugees makes it even more so. What a nice way to start breaking down barriers.